Fashionistas and trendsetters, mark your calendars. 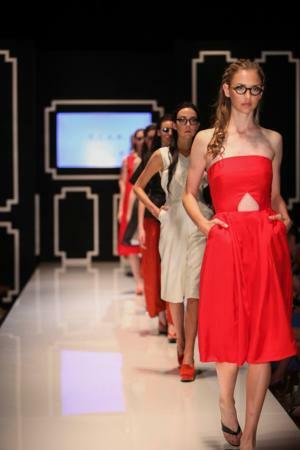 Austin Fashion Week, the largest fashion event in Texas, returns for its seventh year April 10-18, bringing a whirlwind of runway shows, special shopping events and glamorous parties. Get the full Fashion Week experience by watching models showcase cutting-edge pieces as they saunter down the runway. New this year is SWIM, featuring collections from 12 top swimwear and resort designers as they flaunt their latest creations. Arrive early or stay late to browse more than 40 dazzling jewelry and accessory lines in The Gallery - the spot to catch hot pop-up shops for pre- and post-show shopping. From sartorial stars featured on Lifetime Television&apos;s hit show Project Runway to Austin&apos;s very own design talent, you&apos;ll be able to catch the hottest new creations from a range of noteworthy designers. See what&apos;s up-and-coming at DISCOVER, where indie and emerging designers will unveil their latest collections on the catwalk. It just wouldn&apos;t be Fashion Week without a luxurious lineup of oh-so-fabulous events, starting with the Austin Fashion Week Kickoff, an indulgent affair at Speakeasy, where you can sip cocktails and swoon over the 1920s-style hair and makeup show. The next morning, start your day with a benefit brunch at Searsucker, where you can nosh on chef-created delights while helping The Rise School of Austin. And then, it&apos;s time to party-hop the Soirees, glamorous (and typically free!) events--everything from trunk shows and mini-runway shows to cocktail parties and designer showcases. The week concludes with the Austin Fashion Week Finale, an over-the-top event with an awards ceremony, runway shows and shopping. Wondering where to stay while attending Austin Fashion Week? Stay close to the action with featured hotels in downtown Austin, or score big on nightlife, dining and nearby attractions with these insider deals. Photo by Austin Fashion Week.